Print work is still an essential part of any brand, from business cards and signage to letterhead, envelopes and labels. 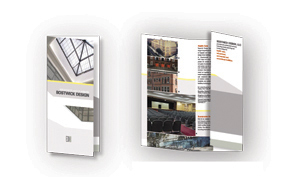 We work with the printer directly and also create digital templates for in-house printing. This card was designed to announce the opening of a new architecture firm. It focuses on two elements: the company name and a dynamic photo from the lead architect's portfolio. 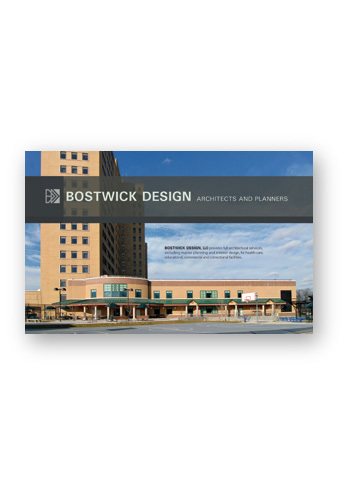 The magazine-style design uses a transparent gray overlay to highlight the company's name and state that they are a contemporary architectural firm. This announcement card was designed to promote Altered States, an art exhibition in New York’s Lower East Side. The curatorial focus of the show was on parallel states of being, perception and cognition. The design of the card subtly references pharmaceutical industry design tropes and biochemical symbology while concurrently channeling the visual language of geometric abstraction and color theory. Plant’s submission to Green Patriot’s open call, environmentally-themed poster competition pushes for green consciousness on a personal level. While also recognizing the need for issue-specific, education-driven campaigns, the strategy of this particular project focuses primarily on changing consumer attitudes through the formation of an emotional connection with the viewer. The illustration style is loose, friendly and warm, with the layout and typography touching upon 1970’s-style PSA’s and print ads. 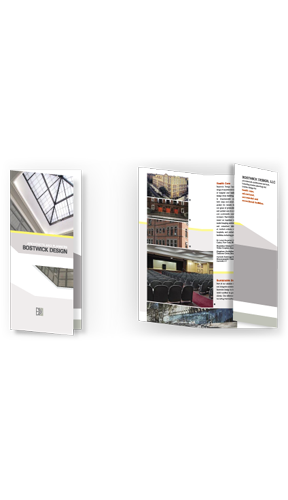 This is a general brochure promoting the mission statement of an architectural firm with clear text and images of past work. It was designed to be handed out after meetings with potential clients; its tri-fold design fits nicely in a shirt pocket. 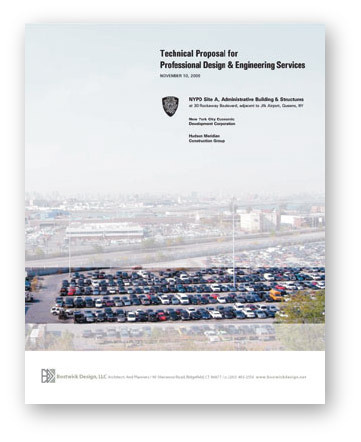 Bold cover graphics and spot color were used to catch the eye and pique interest to read on about the firm’s expertise. 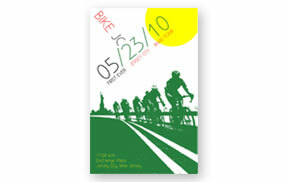 This poster was designed to promote Bike JC's first annual Jersey City ward tour. 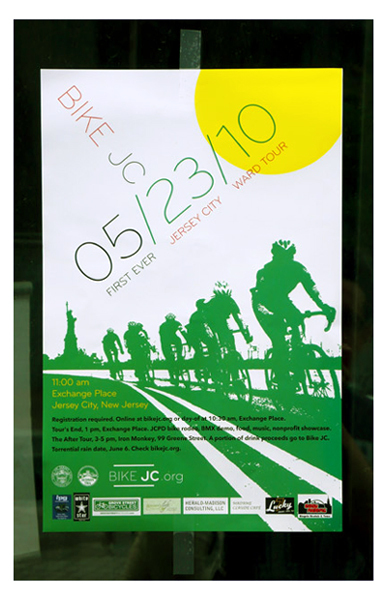 Bike JC is a citizen-based advocacy organization that aims to make Jersey City streets safe and welcoming for bicyclists, by promoting traffic law enforcement, bicycle lane creation, additional bicycle rack placement, education, and group rides. The client needed a report template design to use when responding to requests for proposals. 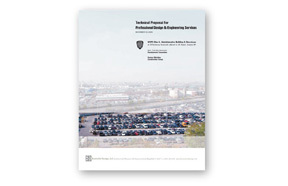 The design focused on providing continuity throughout the report by using a classic header style that does not overpower the content but creates a modern and cohesive look. It also presents a color palette and ideas for contemporary uses of photographic images. This project was organized in conjunction with the rock band, Hunter Valentine, and Reservoir Press, NYC. The band, who is signed to Tommyboy records and cites indie, hard rock and riot grrl influences, had requested a strong graphic referencing the iconically defiant black power gesture displayed by Olympic athletes Tommy Smith and John Carlos during the 1968 Summer games. The addition of the cloud of black balloons adds a cheeky hint of sturm und drang to the image, inviting simultaneous associations with densely tangled musical notation, physical levity, and dark celebration.